Frane "Frenzy" Harth is a Tanker corporal in Downfall Company. He is in charge of Downfall One-Four's Alpha and Bravo fire teams. 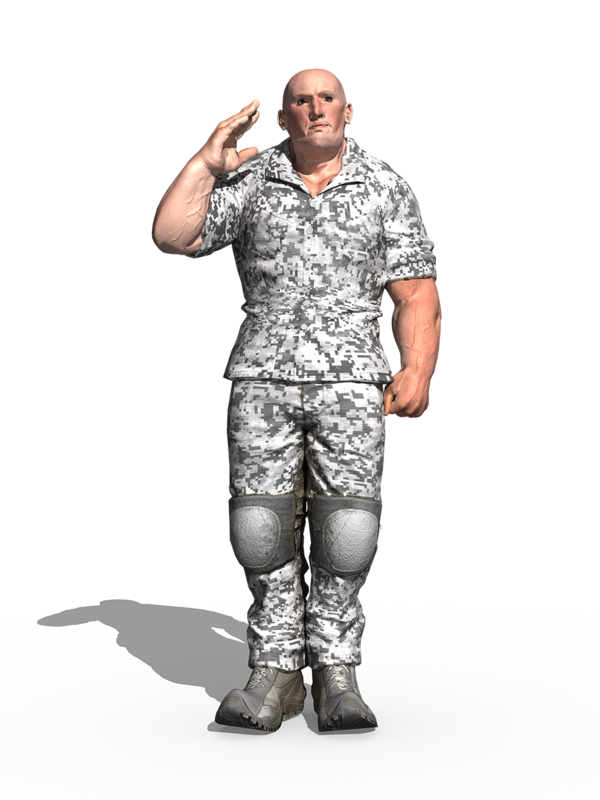 Since he is a corporal Harth has additional responsibilities, which for him include medic duty and battle communications. He can also operate remote drones, of the type frequently carried in the mission pods of Kodiak GTV-6 personnel carriers. Size visualisation, as compared to frequently seen human characters. ​On 21st March 3745, Frane Harth fought with the rest of his company during the Second Liberation of Mibes (→LOTD). On 27th March, as part of Operation Keystone, Harth assisted Elm Caden in securing a cluster of grounding splinters on the surface of Guathelia. During that engagement Harth operated the unit's combat surveillance drones, and used one to remotely target a Kodiak's main guns on a group of hidden Rasas (→TRD). During Operation Keystone it became obvious that Harth had some difficulty in fully controlling the actions of Bear Mtenga and Ragnar Otkellsson, despite being their direct superior (→TRD). Harth was present during the liberation of Forge Ruinous from an occupying force, the invasion of the city of Arroch on Palanda Ire, and the events which took place during the Siege of Damastion (→FSS). This image file is a higher resolution .PNG file with a transparent background, for use in personal projects. See file use terms.